The Chilling Adventures of Sabrina holiday special hits Netflix Friday, December 14. In other good news, the show’s second season will premiere April 5, 2019. Keep it coming, Netflix, we’ll take all the Sabreenz we can get! Last we saw Sabrina on our favorite feminist series, she signed her name in Satan’s Book of the Beast and promised to devote herself (and her newly impressive powers) to him. As viewers, we knew this was Madam Satan’s (also known as Lilith and Mrs. Wardwell) plan for Sabrina all along. Sadly, Sabrina did not. After the big moment, she seemed to become a much different person. We even left off on a mischievous wink from Sabrina as she sauntered away with the Weird Sisters — the same Weird Sisters who were her arch frenemies for the majority of Season 1. As we look forward to upcoming Spellman Christmas shenanigans, we have many questions about the dark holiday traditions of Satan’s worshippers. 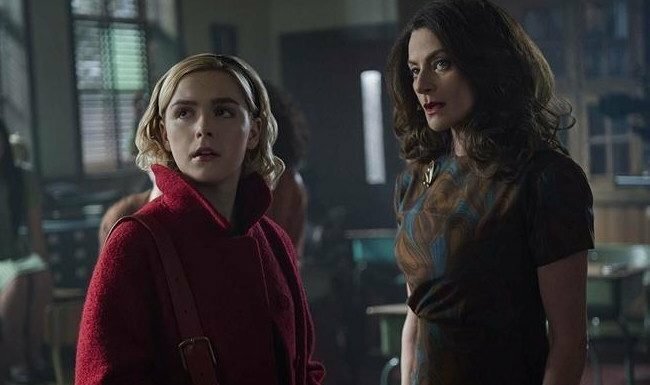 In an interview with Entertainment Weekly, Sabrina (and Riverdale) boss Roberto Aguirre-Sacasa teased Miss Spellman’s future. The special picks up at least a few weeks after the events of the Season 1 finale. 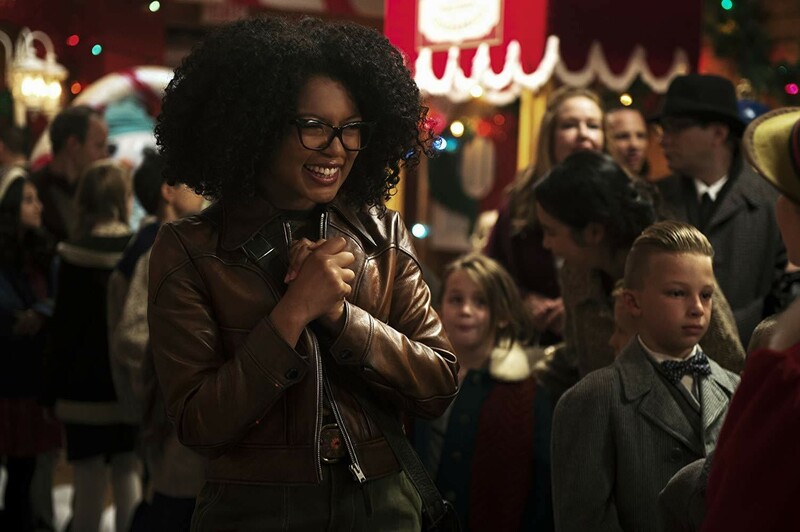 Instead of Christmas, the Spellmans celebrate the Winter Solstice, or the longest night of the year, which is fitting, isn’t it? As Aguirre-Sacasa puts it, holidays in Greendale are more ritualistic than celebratory — but the witches still have fun. 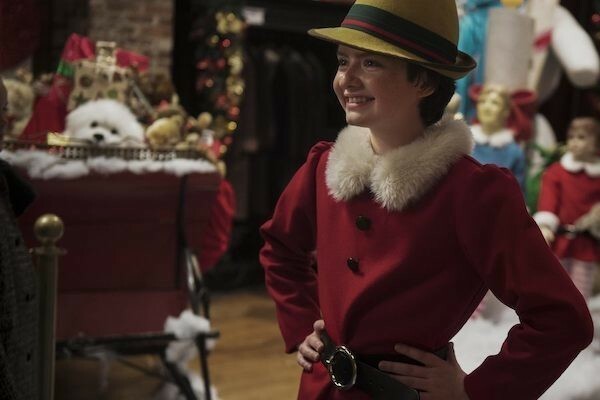 Aguirre-Sacasa also shed light on whether the holiday special is a standalone episode or a connector between Seasons 1 and 2. The finale also delivered on the promise of a “changed” Sabrina, but that will have to wait until after the holidays. Sabrina’s biggest battle in Season 1 was her looming feud with Satan, and her ultimate goal was to put an end to his evil ways. Now that she’s signed the Book of the Beast, will this mission continue? As for the other heroes of Greendale, there’s much more to come. Will Sabrina’s friends accept her for who she is? “That’s a big theme in the second half as well,” Aguirre-Sacasa teased. Are you excited for the next ten episodes of Chilling Adventures of Sabrina? We are! We’re more than ready for a Sabrina Spellman who can let loose and have fun with her magic — even if that means leaning to the dark side for a hot minute. Side note, can we please not do a love triangle between Harvey, Sabrina, and Nick Scratch? Why is there a love triangle in every teen show? We had just about enough of that in The Vampire Diaries, so let’s hope Harvey and Sabrina work things out.